Back in April, Heineken took a page out of Bud Light’s funny-book and created some pretty comical ads showing a comparison between a woman’s fantasy closet filled with couture apparel and a guy’s penultimate setup filled with beer. 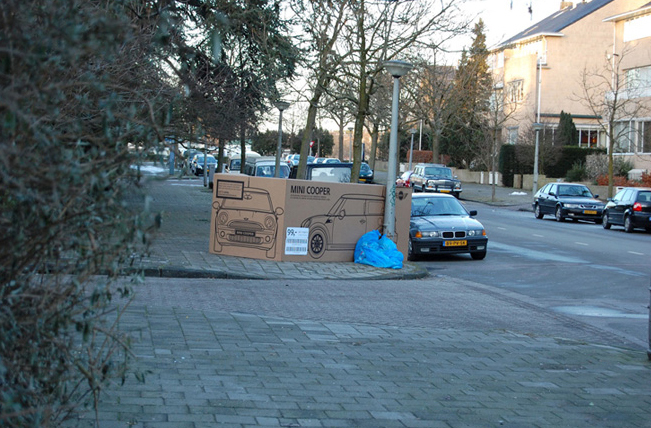 Taking things one step further, as a follow-up, massive cardboard boxes with the words ‘Walk-in Fridge’ were strewn around Amsterdam just before garbage day. 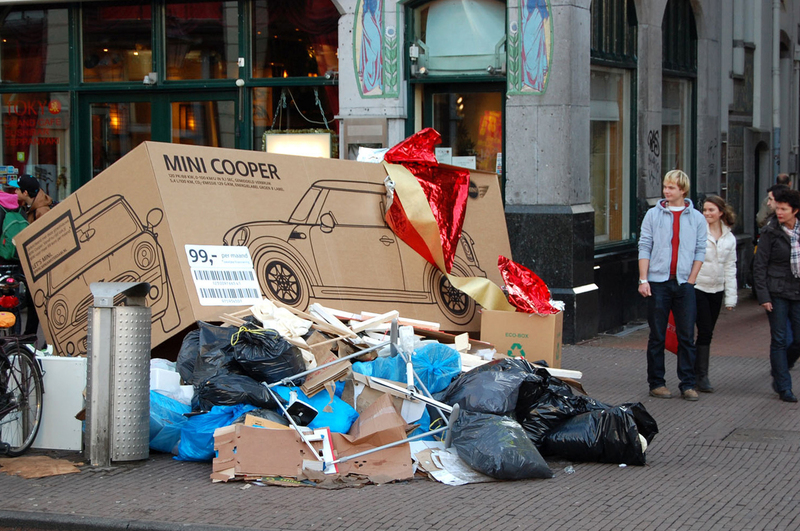 MINI recently hopped on the this bandwagon just after Christmas, strategically distributing massive cardboard cartons with torn gift wrapping in trash heaps all over the same Dutch city. 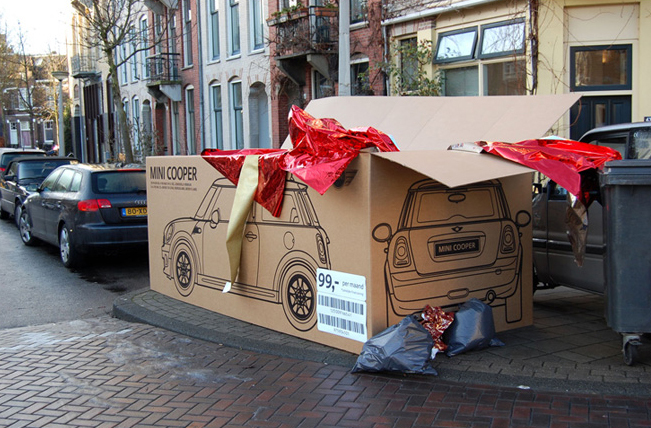 Each box had a large diagram of the car with the words MINI COOPER across the top as if the car had been packaged inside. Naturally, people were intrigued with the ad campaign and their reactions were caught on video (after the jump). This marketing ploy seems much better tailored to MINI with its diminutive hatchbacks and I’m surprised that Heineken’s ad firm, BWA\Neboko, beat them to the punch. That said, Crispin Porter + Bogusky created the original guerrilla marketing tactics for MINI back in the day and it’s great to see that the current agency, Ubachswisbrun/JWT, is still keeping things exciting. This was a cool piggy-back campaign. Hopefully MINI hired a cleaning service to clean up the cardboard once the marketing campaign was finished. Happy New Year From Your Friends at Sub5zero!